The AEG Gourmet Collection Pasta Insert makes cooking pasta a pleasure. Ideal for cooking long rigid pasta such as spaghetti, linguine and fettuccine; the Pasta Insert protects delicate pasta from tearing. Simply lift the Pasta Insert to drain the pasta. 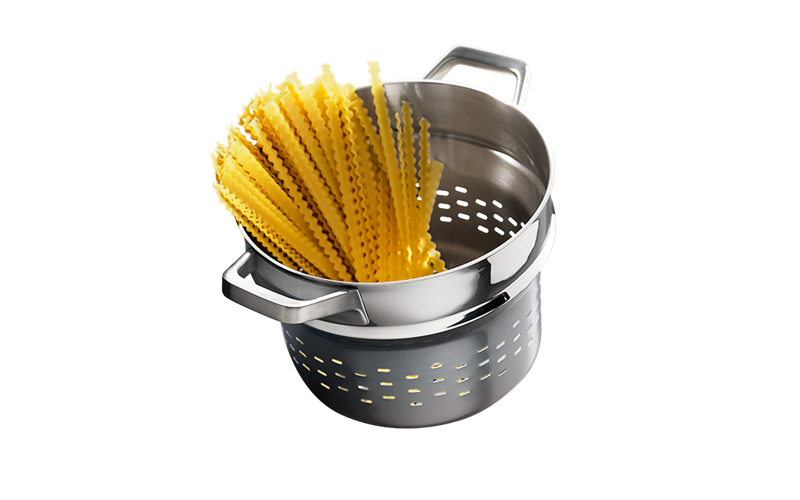 This allows you to cook the perfect al dente pasta every time.